Ever want to create a weed-centric Instagram account? Here are some tips for getting started. Instagram has become a platform where users can express their interests and hobbies through hundreds of photos. So, what better way to express your love for marijuana than through a dope weed-centric Instagram page? There are thousands of weed-centric pages on Instagram. In fact, some of the best marijuana-related photography can be found on the app. It takes time and effort to build up that majestic feed into a successful weed-centric Instagram account. But the end reward could be much greater than expected. Successful Instagrammer, @macdizzle420, is currently sitting at 124,000 weed-loving followers. And she has had many amazing opportunities come her way. From being invited to the most popular 4/20 events, to boosting her Youtube career, Mac’s Instagram has allowed her to become a full-time content creator. We reached out to some of the pros for some guidance. 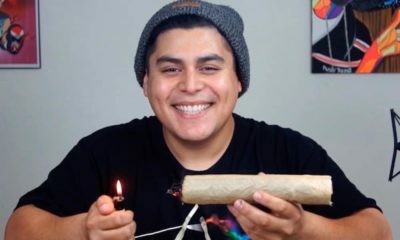 And now, here are 6 tips on how to build up that dope weed-centric Instagram account you’ve been dreaming about. 1. Show Off the Bud! Having actual photos of cannabis is essential when creating your page, it’s what all your followers are here for! Posting photos of dank looking nugs or perfectly rolled joints will catch the attention of your followers and make them wanting more. Make sure your page is nowhere near short of pictures of the plant, or else you may start to see your numbers dwindle. After all, it wouldn’t be a weed-centric Instagram without the weed itself.